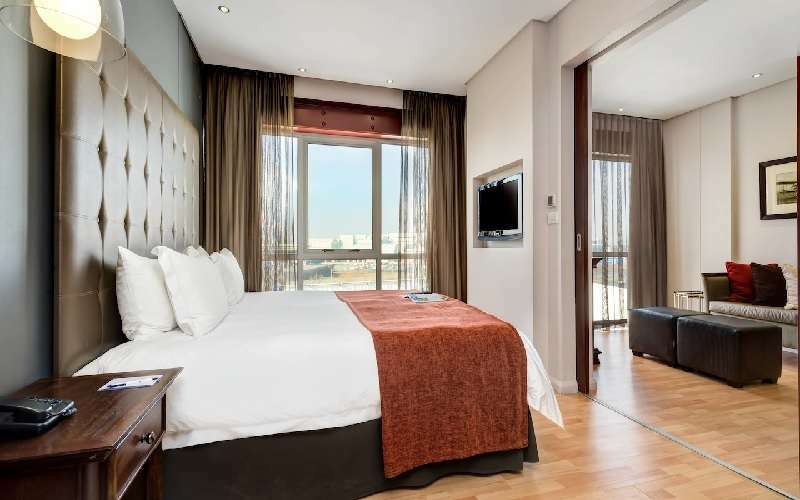 The Protea Hotel OR Tambo has prime positioning near Johannesburg's international airport of the same name. It is also within very close proximity to the city centre of this bustling metropolis and all of the fascinating and exciting sights and sounds that this area promises. It is only 35 minutes' drive from Sandton and Pretoria. 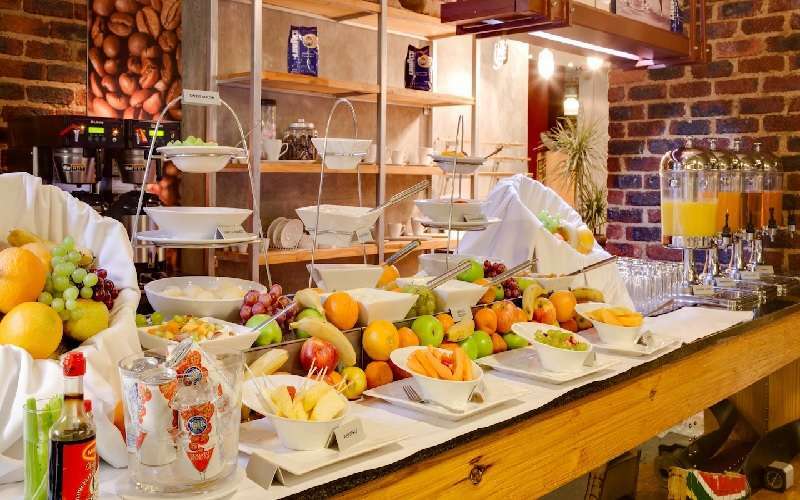 As such, this hotel is the ideal base for business travellers and leisure guests, from where they are free to explore South Africa's cultures, history and natural allure. This four-star hotel's furnishings and décor resemble an aircraft hanger, creating a fun ambience that maintains style and elegance. This has been achieved by the use of concrete, steel, chrome and the extensive use of glass and light. Huge windows provide perfect views of the aeroplanes taking off and landing at the OR Tambo International Airport, enhancing the 'international traveller' feel. 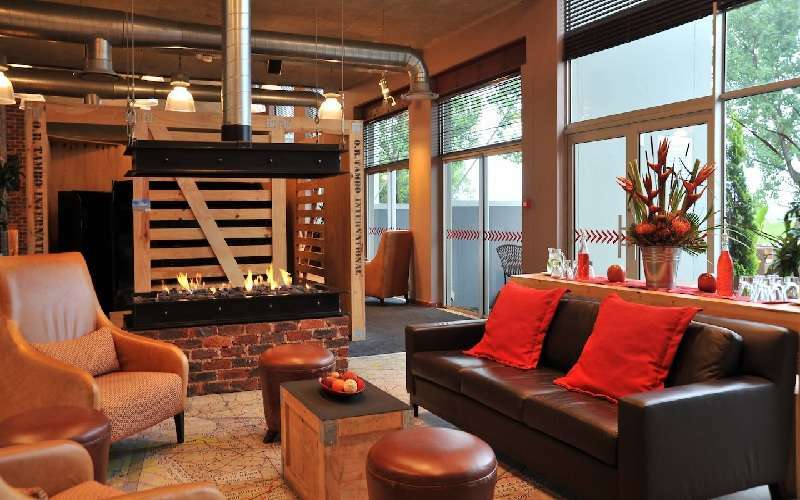 The Protea Hotel OR Tambo has 213 rooms, each beautifully furnished and comfortably inviting. These rooms maintain privacy and intimacy by the use of sound-proof windows, while the wooden floors create a sense of chic homely comforts. Each room emits a cool feeling of tranquillity and is equipped with adjustable lighting, temperature control, a flat screen television with select satellite channels, direct-dial telephone, work desk, room safe (large enough to hold a laptop), hairdryer, tea- and coffee station and wireless Internet access (up to 100 MB free per day). 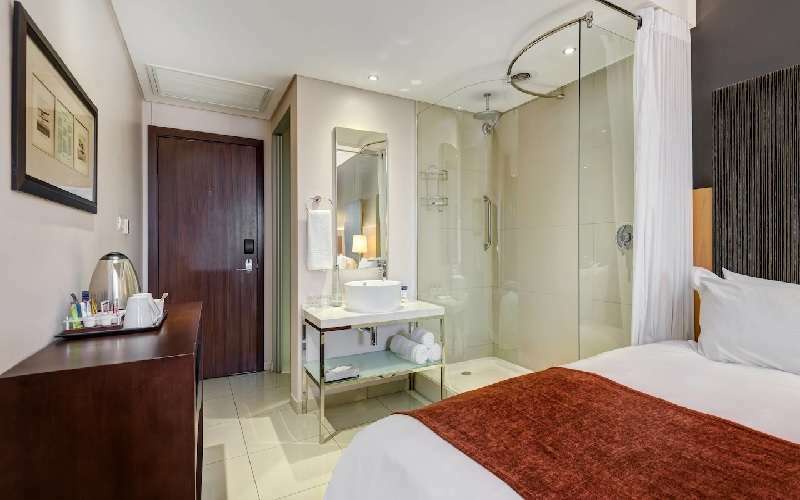 In addition, all rooms have en-suite bathrooms with the exception of the luxurious Suites. 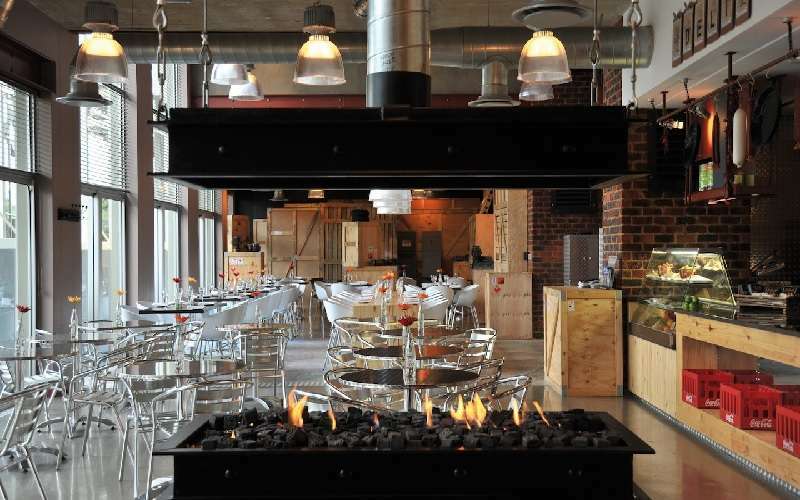 The Warehouse provides a tantalising array of dishes for breakfast, lunch and dinner for up to 100 diners at a time. The expert chefs use fusion techniques and fresh ingredients on the A-la-Carte menu and promise a sensational dining experience. The ambience is set using aero-centric items to follow through on the overall theme. Alternatively, patrons may enjoy their meals on the open-air terrace or in the swimming pool itself for a completely novel African experience. Guests who prefer privacy are able to order their meals with room service and savour them in the comfort of their own suites. The Deli does not close for business, and stocks a choice of healthy sandwiches, wraps and light meals. These are ideal for guests with limited time or who need a quick snack. The lounge and bar are ideal venues in which guests can relax with a drink, catch up on emails or relate their day's experiences to friends, families or colleagues. 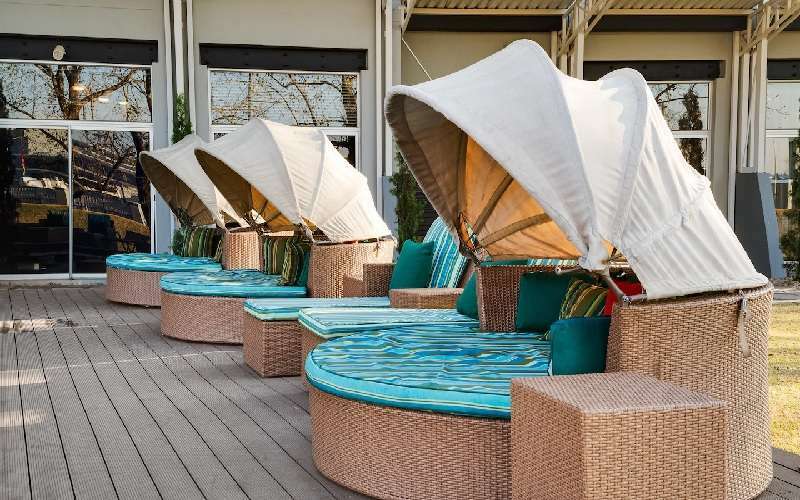 Comfortable seating areas and Wi-Fi Internet connectivity complete the setting. Airport shuttles - this is a free service that transports guests to and from the airport at 30-minute intervals between 06h00 and 23h00 every day. Should guests require transport before 06h00 or after 23h00, this can be arranged directly with the hotel at a nominal fee. Meet and Greet service - to be arranged with the hotel at a small fee. Boardroom - business guests are welcome to conduct meetings, brainstorming sessions or training seminars within the comfort of this spacious venue. Heated swimming pool - for year-round refreshment and relaxation, take a dip in the clear waters of the pool. Loungers have been built into the actual swimming pool so that guests may sit, drink and even eat while submerged in the water. 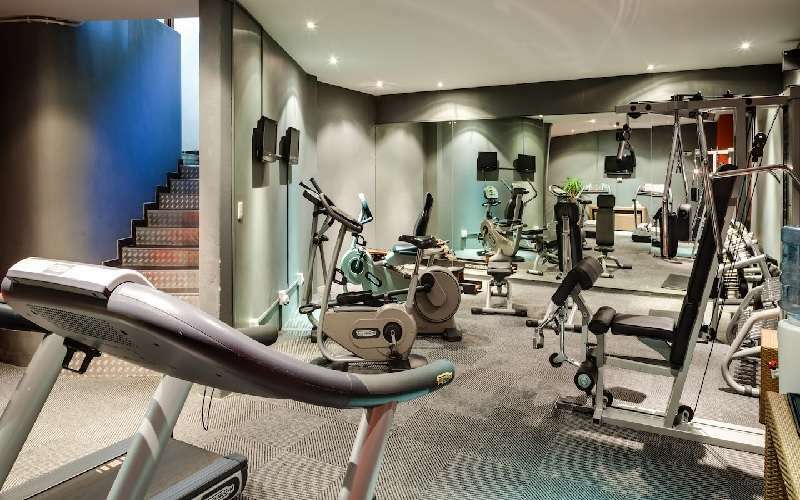 Gym - the hotel is equipped with its own private gym, where guests can maintain their fitness regime. This gym is open for 24 hours a day. 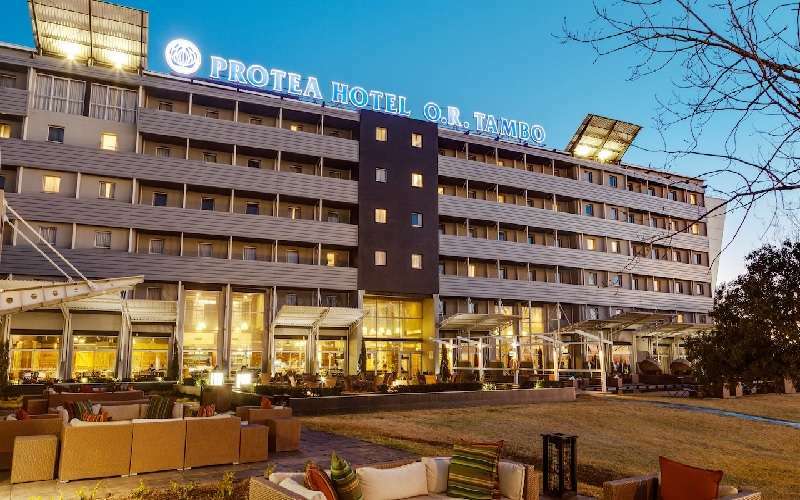 The Protea Hotel OR Tambo has its own Conference Centre, which comprises two conference rooms and two Executive Boardrooms. 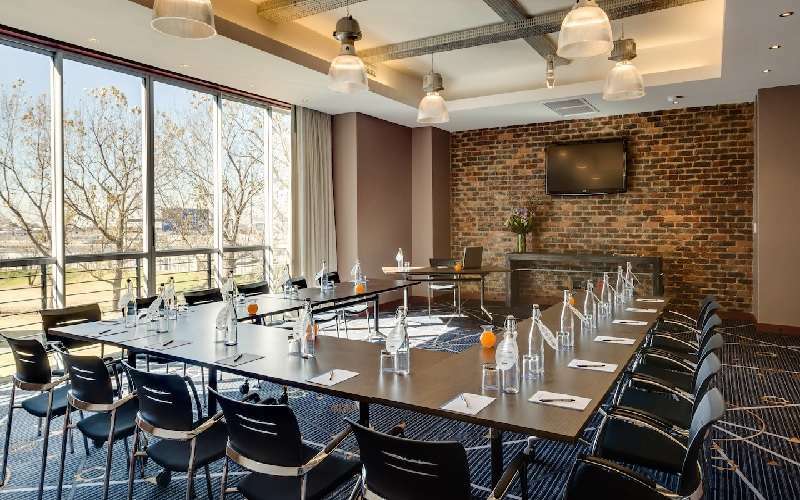 Each of the conference rooms can accommodate up to 120 delegates and are fully equipped with a data projector, wireless Internet access and a DVD player, amongst other features. The boardrooms are ideal for groups of between 12 and 20 people and are comfortable. There is another boardroom inside the actual hotel. 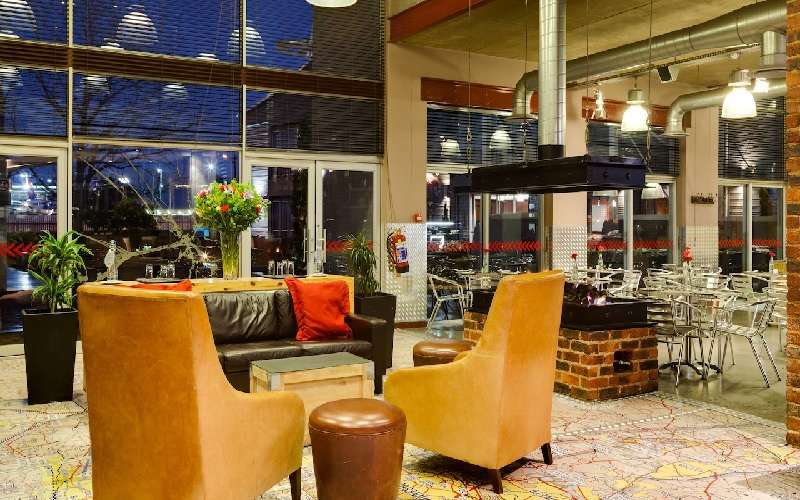 Protea Hotel OR Tambo's situation in Johannesburg means that it is surrounded by things to do and see 24-7. This city never sleeps and its constant buzz is a delight for visitors wanting to immerse themselves in South African culture and entertainment. Shoppers should pay a visit to Sandton City, The Zone at Rosebank and East Gate Shopping Mall, while those seeking an injection of culture may prefer the Art Space Gallery or the Afronova Gallery. There are also several golfing estates within close proximity to the hotel, including Kempton Park Golf Club, Ebotse Golf and Country Estate and the Benoni Lake Golf Club. 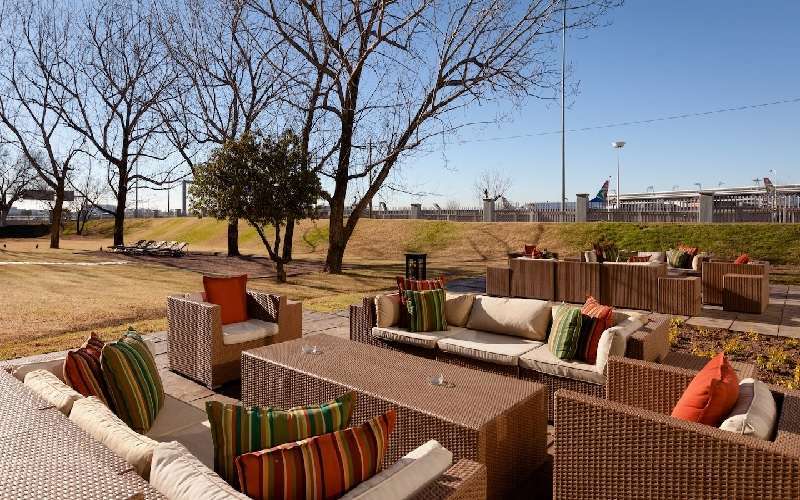 This Protea Hotel is situated opposite the OR Tambo International Airport in Johannesburg. The new Gautrain is less than one kilometre from the hotel, making it even more accessible than before. 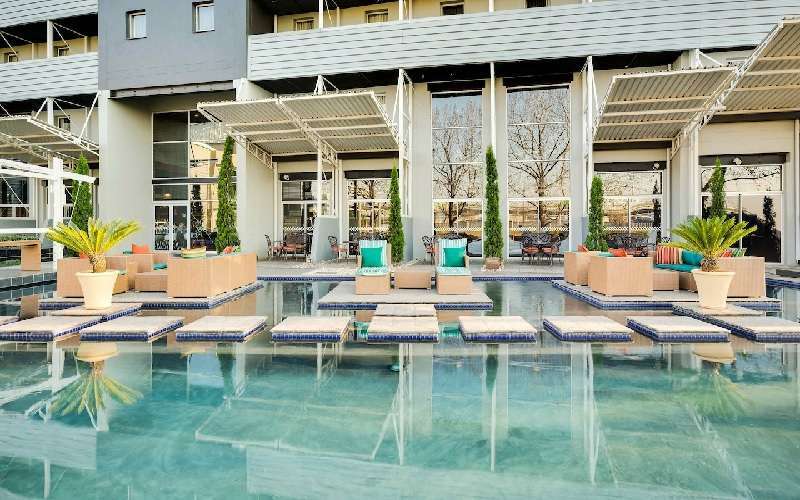 It is also close to the East Rand Shopping Mall (five kilometres), Sandton (approximately 20 to 30 kilometres), Pretoria (approximately 20 to 30 kilometres) and East Gate Shopping Centre (about nine kilometres). Take the R21 highway towards Pretoria; take the Voortrekker Road / Freight Off Ramp. Keep to your left and take the Rhodesfield split into Albatross Street (M32). Turn left into Gladiator Street, keep on Gladiator Street, at the circle keep left. The Hotel is situated on the right, corner of Whirlwind Street and Gladiator Street. 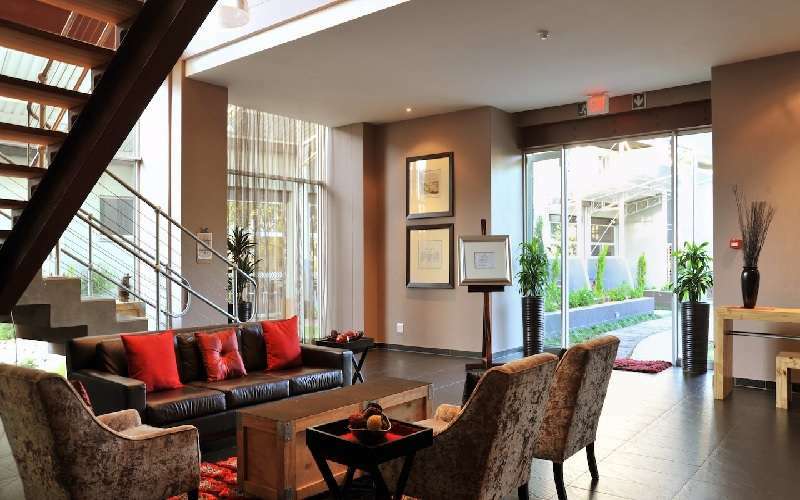 The Protea Hotel OR Tambo entrance is on the right hand side before you get to York Street. From Sandton, take Rivonia Road drive towards Grayston Road. Turn right at the traffic light on Grayston Road. You then proceed on the M1 towards Pretoria. Proceed on the M1 and then at the Buccleuch inter-change, you take the N3. Proceed and take the Modderfontein Road then turn right onto Parkland Road, drive straight over the bridge. At the traffic lights you turn right onto Zuurfontein Road. The second traffic lights you will turn left onto Plane Road. Proceed and turn right at the traffic lights onto Old Pretoria Road. At the 3rd traffic lights (VW on your right hand side and Nissan/Mazda on your left hand side) turn onto Wellington Street, go straight until you get to a circle go right, around the circle, into Gladiator. Protea Hotel OR Tambo is on the corner of Whirlwind Street and Gladiator Street. From the N3 take the Modderfontein Avenue, go straight until you find bridges, after the second bridge you will find a turn off that will take you onto the bridge. This will be Zuurfontein Avenue. You can only turn left. When on the bridge, go further until the road splits. Keep to the left lane which becomes C.R Swart Drive. At the 6th robot you will find Pretoria Road, turn right. At the 9th robot turn left onto Wellington Street, go straight until you get to a circle go right, around the circle, into Gladiator. 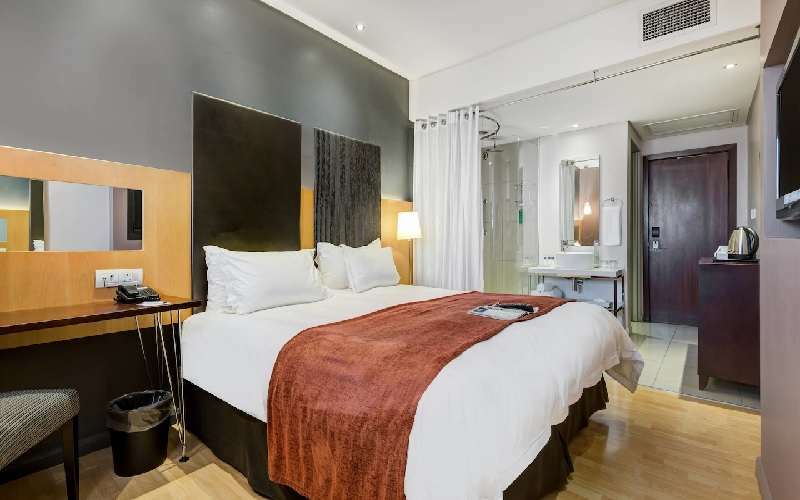 Protea Hotel OR Tambo is on the corner of Whirlwind Street and Gladiator Street. Take the R21 towards Kempton Park/OR Tambo International Airport, take the M96 Voortrekker Rd / Air Freight off-ramp. Turn right at the robot, keep to your left and take the Rhodesfield split, you will now be on Albatross Road. Keep straight, on the left hand side at the second robot turn left into Gladiator Street. Keep on straight until you find the circle, keep to the left of the circle. 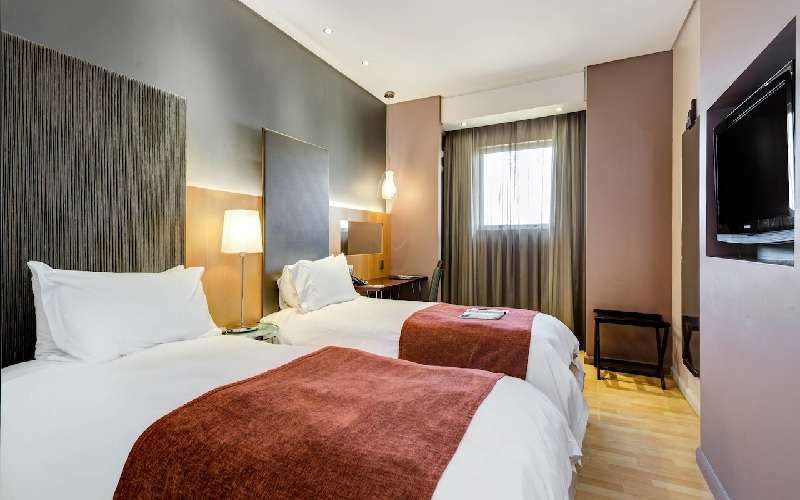 Protea Hotel OR Tambo is on the corner of Whirlwind Street and Gladiator Street. Take the R24 highway, where the road splits, keep on the R24 highway towards OR Tambo International Airport. Continue onto the N12, and take the R24, Bedfordview exit to merge back onto the R24. Continue onto the R21, towards Pretoria. Take the M96 Voortrekker Road/ Freight Off Ramp. At the robot, turn left and take the Rhodesfield split, you will now be on Albatross Road. Keep straight, on the left hand side at the second robot turn left into Gladiator Street. Keep on straight until you find the circle, keep to the left of the circle. 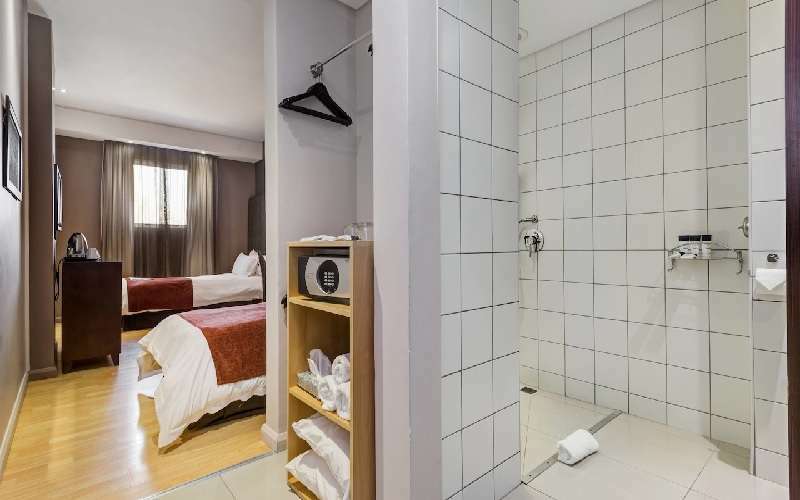 Protea Hotel OR Tambo is on the corner of Whirlwind Street and Gladiator Street. Take the N3 Eastern Bypass (towards Durban), take the exit towards the N12, Continue onto the N12, and take the R24, Bedfordview exit onto the R24. Continue onto the R21, towards Pretoria. Take the M96 Voortrekker Road/ Freight Off Ramp. At the robot, turn left and take the Rhodesfield split, you will now be on Albatross Road. Keep straight, on the left hand side at the second robot turn left into Gladiator Street. Keep on straight until you find the circle, keep to the left of the circle. Protea Hotel OR Tambo is on the corner of Whirlwind Street and Gladiator Street.